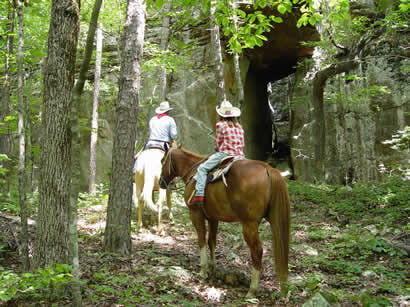 Scenic Ozark Mountains – North central Arkansas is home to the Boston Mountains, the highest and most rugged section of the Ozarks. 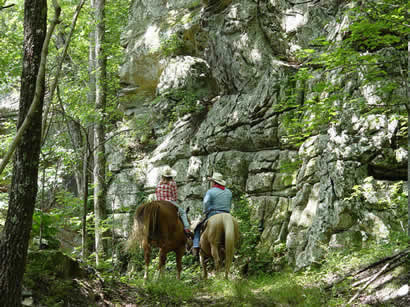 Driving up Scenic Arkansas Highway 7 or down one of the many byways that wind through breathtaking vistas, along bubbling creeks, or into deeply shaded forests, you can experience the peace and natural beauty of this region of the “Natural State.” For a more “up close” experience, you can go off-road with mountain bikes, dirt bikes, or ATVs, or to really relax and enjoy the scenery, take a trail ride at a local facility like Pine Grove Trails at Leslie. 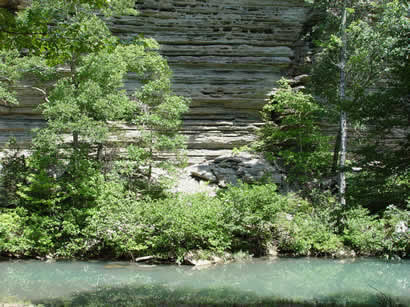 Buffalo River - Designated the nation’s first national river in 1972, the Buffalo winds 150 miles through breathtaking mountain scenery, past towering limestone and sandstone bluffs, sweeping gravel bars, caves, and waterfalls. 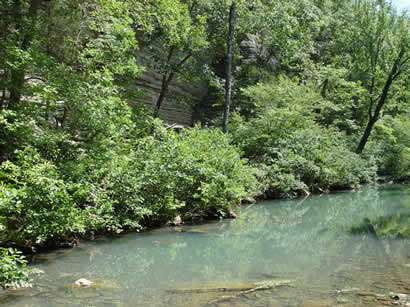 Elk, deer, wild turkey, black bear, and other wildlife roam its river bottoms and tributaries, while human visitors enjoy fishing, canoeing, camping, rock climbing, and hiking in a pristine wilderness setting. 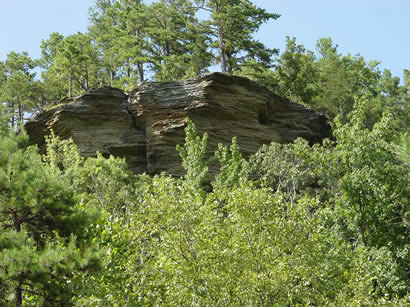 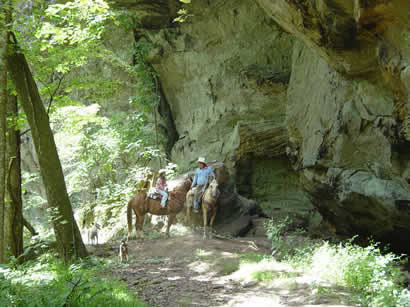 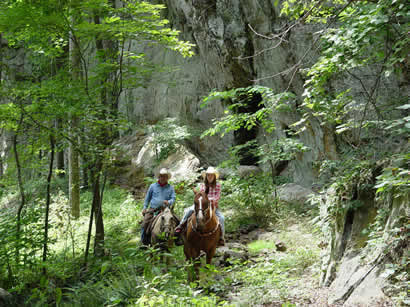 Hiking Trails – The Ozark National Forest and surrounding natural areas are home to dozens of hiking trails of varying lengths and degrees of difficulty. 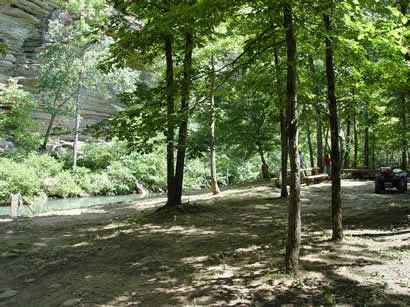 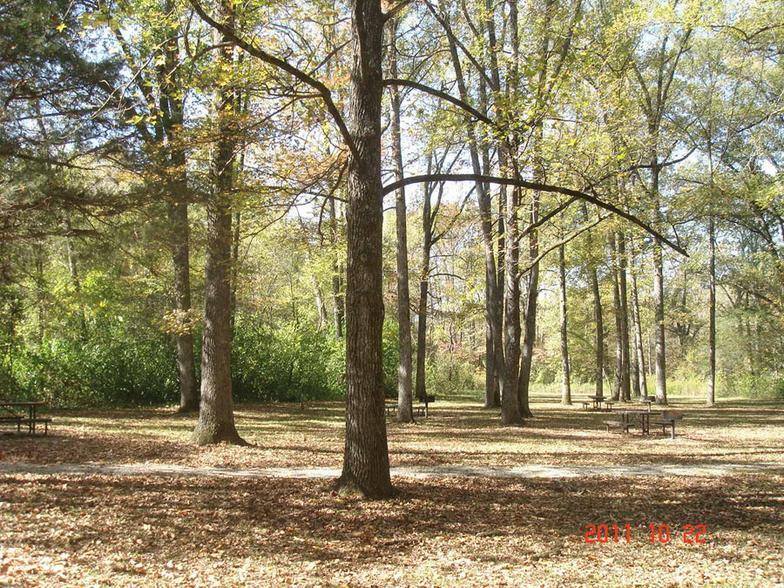 Every national forest campground, State Park, and natural area boasts one or more of these quiet get-aways. 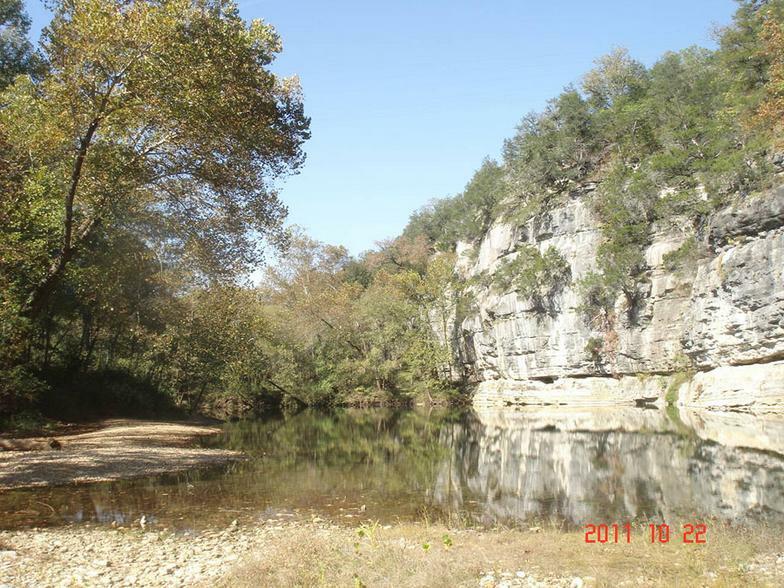 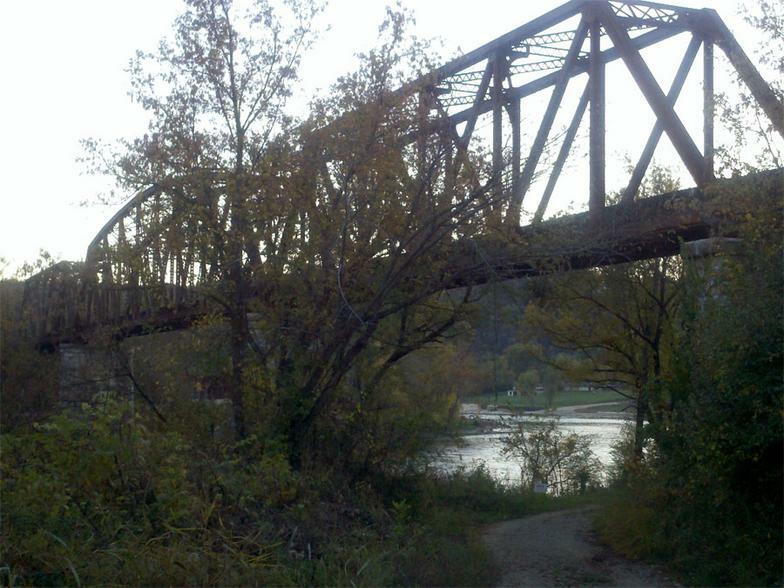 Hikers can trek to the site of a World War II plane crash, inch along a bluff high above the Buffalo River, explore a secluded waterfall, or back-pack deep into undeveloped forest. 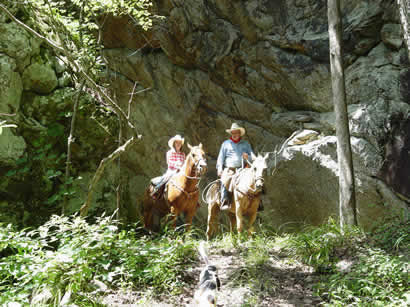 Local photographer and outdoorsman Tim Ernest offers a selection of detailed guides <A HREF="http:// www.timernst.com/guidebooks.html">here</A> and some trail information can be found at www.trails.com/activity.aspx?area=10460 . 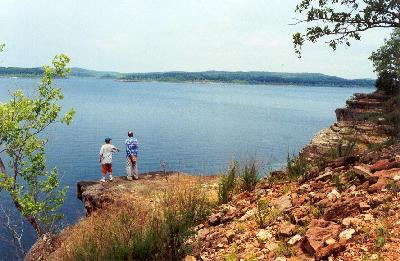 Bull Shoals Lake - Created by Bull Shoals Dam in 1951 and managed by the U.S. Army Corps of Engineers, Bull Shoals Lake covers 45,000 acres with a 700 mile shoreline that is dotted with parks, campgrounds, and recreation areas. 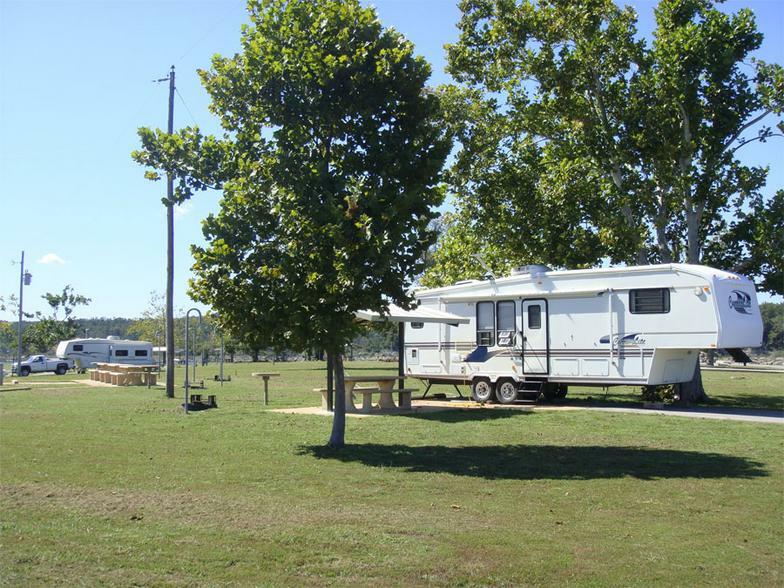 Its crystal clear waters are valued by fishermen and water sports enthusiasts, while nature lovers enjoy exploring its heavily forested shores and families kick back for a relaxing camping vacation in one of the well-maintained state parks. 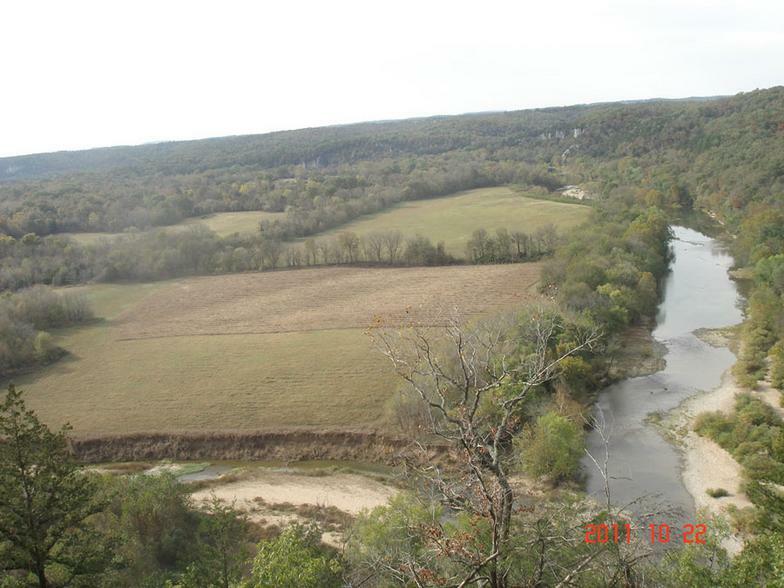 White River - When the mighty White River breaks free of the last of a series of four man-made dams at Bull Shoals, Arkansas, it meanders southeastward before eventually becoming a broad, lazy flatland stream. 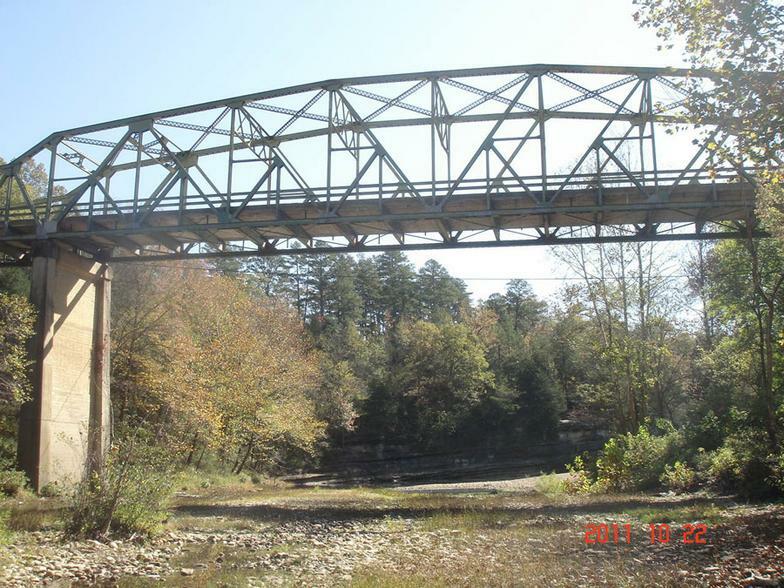 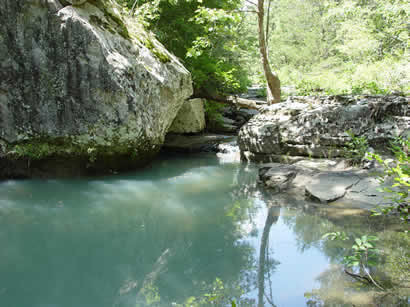 While still in the southeast portion of the Arkansas Ozarks, however, its cold, clear waters make it a premier trout fishing stream and get-away spot. 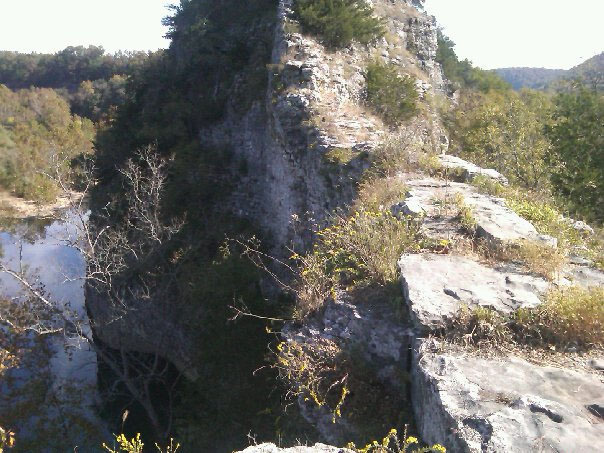 Before exiting the Ozarks, it passes through the historic towns of Norfork, home to Wolf House, the oldest public structure in Arkansas, and Calico Rock, the only town in the United States where a living community has surrounded and preserved a ghost town (Wikipedia.org). 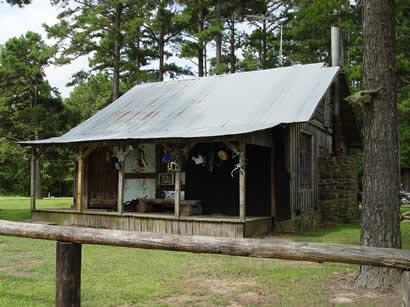 Ozarks History – The small towns located on the scenic and secluded byways of Arkansas’ central Ozarks preserve many historical remnants of days gone by. 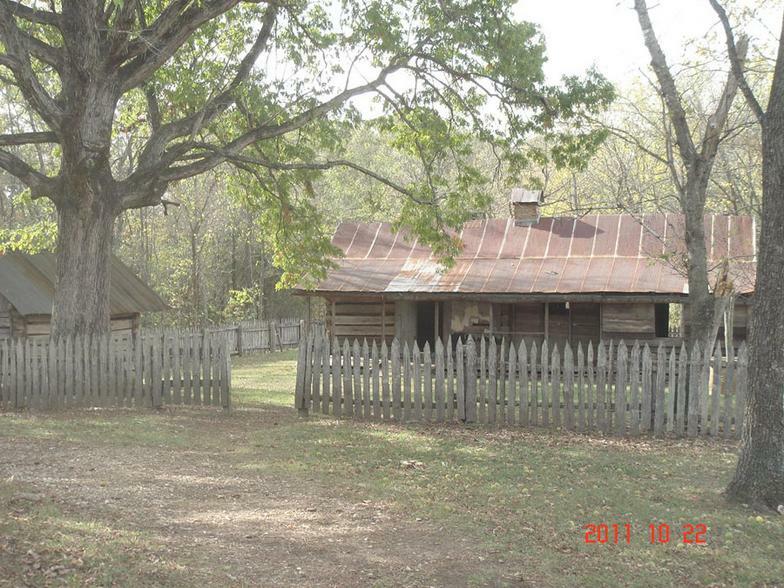 Wolf House in Norfork, the Collier Homestead at the Buffalo River Visitor Center at Tyler Bend, or the newly restored Depot at St. Joe are just a few of the fascinating glimpses into the region’s pioneering past.